Spectacular Max is the son of legendary bull Rodeo Max. His mother Anchor Leg is a rare silver grulla color and a Winchester granddaughter. He brings fireworks coloring and perfect face to the party. Sold, AH, thank you! Farley Obvious Iron is just all that - a great young bull sired by the legendary Drag Iron. 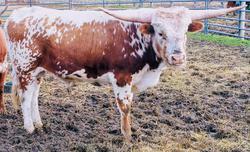 His dam goes all the way back through Longhorn fame to Senator, Monarch and Bevo, and Drag Iron needs no introduction. Sold, JF, thank you! Westhaven PowerPoint is the son of Horn Showcase Winner Clear Point out of Power Outage, our lovely Mile Marker cow, born 4/8/2016. He brings big body size, muscle, and both T2T and big base plus adds splashy color and clean lines. Sold, thank you OD! 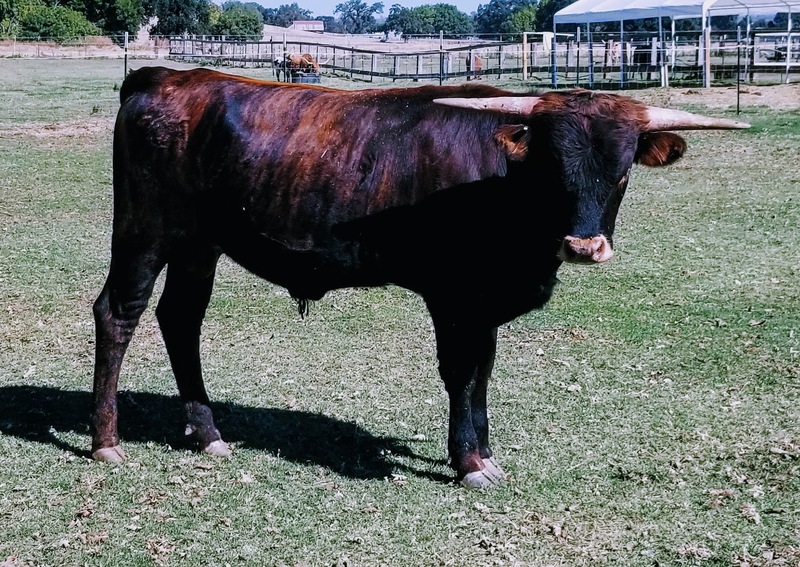 Westhaven Bourbon Smoke Iron is a rare cranberry brindle 15 month old young bull with wide lateral horns from his Drag Iron grandsire. He is gentle, correct and ready to make brindles with correct wide horns for your program. Thank you JT! 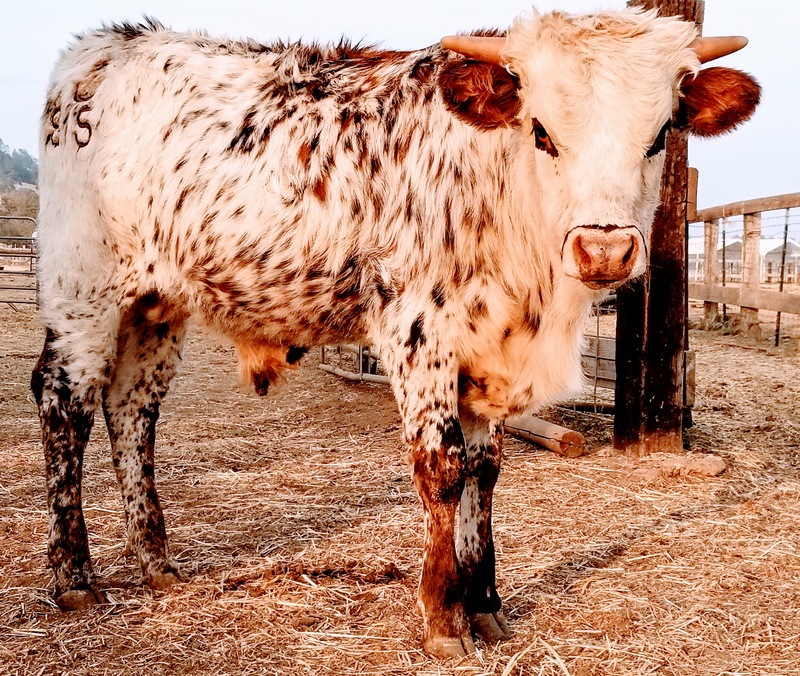 WH Max Mile Iron is a huge bull calf just 6 months old, but these amazing multi-colored speckles keep coming, handed down from his Rodeo Max and Drag Iron grand-sires and Mile Marker on the maternal side. Max is thick, gentle and correct all over. Thank you MC!